Bear with me. I know that sounds redundant but think about it. Displaying courage takes guts. Putting your courage on stage takes nerve. Talking courageously to your boss takes absolute fortitude. In school they don’t teach “nerve”. There is no “Courage 101” class. Yet, in my opinion, it is one of three elements that makes for a successful Learning and Development professional. Oh sure, college teaches you about such things as; cognitive load, pedagogy/andragogy, neuropsychology, and adult learning principles and that’s all well and good. Although in my opinion, key to modern day Learning and Development, are three areas and two of which we have already discussed – curiosity and challenging. Now, let’s meet the Wizard and get ourselves some courage. 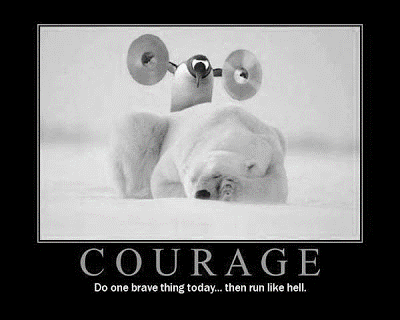 Admittedly, displaying courage is the toughest part. No one likes telling the Emperor he isn’t wearing any clothes. Educating leadership on learning is difficult, especially if there are preconceived notions out there. I worked with a person (who worked for a sister division) who was dead-set on learning styles being fact and a member of my senior leadership absolutely hard set on the “fact” that generational differences were at the core of cultural issues. There was no changing the minds of these intelligent people. This doesn’t change the need to speak up. I emailed research, displayed case studies, and pointed to blogs and other reference articles to support the case. Did learning styles stay in her Train the Trainer class? Yes. Did I end up having to create a plan for a learning initiative based on generational differences? Yes. What does this mean? Acts of courage don’t always lead to the results we crave, but courageous acts are remembered. Within my business, I was not known as the person who goes with the flow. I was the person who was known to ask tough questions regardless of my audience. Does that work against me? Certainly. Not everyone wants tough questions asked of them, they want people who will agree and move on. So it can become a difficult working relationship if you don’t handle the situation correctly. It takes courage to stand your ground but…and this is a very important but… it needs to be coupled with the wisdom to know when to step back and pick your battles. Courage sometimes means taking baby steps. Courage means adding a “twist” to commonly held beliefs. That generational learning initiative I mentioned earlier? I was sure to include widely held generational misconceptions as well as an understanding of generational values, a fair compromise. Courage means extra work and it means going undercover. Sending out a covert survey about social media and technology could have gotten me into a bit of hot water, but the boss couldn’t argue with the results of data coming from his own people. You have to be prepared to accept the beating you may get if things go off-track but if you are well prepared and you have your supporting data, you are ahead of the game. That is unless you work for a tyrant, in that case you need the courage to start fresh somewhere else. Healthy companies encourage debate and accept differences of opinion. Understand, this is not to be confused with acceptance. 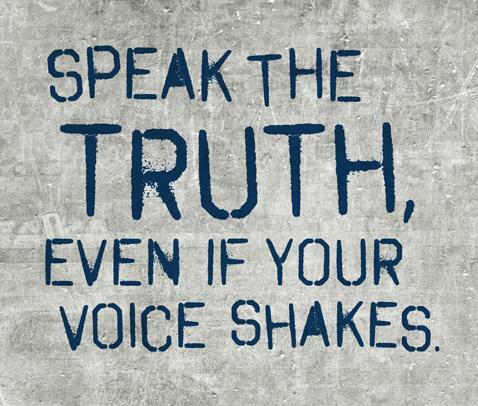 You may lose, but at least have the courage to begin the debate. And that, my friends is what the Courageous Learning Professional does – starts the debate. She stands her ground with the wisdom to accept she may not win this time. She has the courage to ask the boss if he really thinks the corporate university he is so fond of, gives the results he is looking for – and if so, how? She has the courage to ask the boss why the learning strategy does not align with the business goals. Courage is accepting that it may be you who is wrong and then doing something about it. Courage is looking people in the eye and asking why (or why not). I’ll leave you with this last thought. It’s okay to be scared, to have the – “Oh crap, I’m about to tell the boss I believe they are mistaken” pit in your stomach. 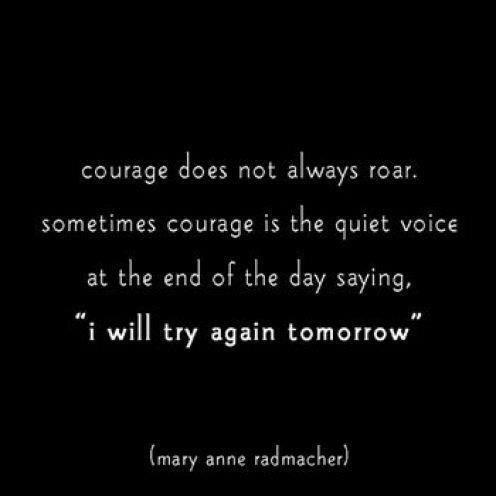 Courage is the ability to face those fears and move forward anyway. You have to start somewhere and now is as good of time as any. Shannon-loved this post; it was like reading about myself! How did you know? In all seriousness however, I appreciate the candor of your post. At my last corporate role, I used to say that I should have a ticker tape (like on CNN) running beneath me when I spoke that said, “playing devil’s advocate here – I throw out options, questions, and counterpoints to ensure they are being considered.” A large piece of being a leader in any field is “managing up” and that includes when speaking with our stakeholders about the vision for learning in an organization. They hired us for our expertise in learning and devrelopment; we are not holding up our side of the bargain if we don’t speak out to obtain the best outcome for the constraints we have. Thank you again. Well written, and I enjoyed it!! I’m glad this post spoke to you. We need more devil’s advocates asking difficult questions, in the L&D seat so good for you! Keep it up. The “trilogy” (The Curious Learner, Challenging the Conventional Thinker and this post) are philosophies which are near and dear to my heart. Being candid about these philosophies is exactly who I am as a Learning Professional both on a corporate level and in the consultant role. It is my belief and it appears to be yours as well, that standing in the corner and letting business departments tell us how learning should be created, designed, developed, implemented, presented, or marketed, is akin to L&D trying to tell finance how they should manage the corporate budget. Right? Before someone replies to tell me that we all need to “work together”, “not decide learning in a vacuum” or “we need to reach out to others” – Yeah I get it (and I even teach it) – collaboration is key. HOWEVER, not to the detriment of the learner or to the “business pain point” you are trying to address. There are two big rocks for any L&D professional, they are to be advocates for the learner and be partners in the business. One goes with the other. So Gabriella, happy to have you on the Learning Rebel team and keep “Fighting the Good Fight”. What an inspirational post Shannon – it made me think about my courage in my previous role, and even more now as a freelancing consultant. In my working life I did this often with some great achievements been made but also sometimes been ignored- in fact that is why I ended up taking a voluntary redundancy – I was tired of speaking up and offering new innovative thinking and suggesting new initiatives with little traction. So although courage is great don’t expect things to change – that said it does not mean that you go into your shell. In life we all have choices and I decided that after showing courage with little impact it was time to say goodbye. Anywho – You hit the nail on the head, and that is the space from which I was writing. Our job, the one we were hired for, the one where they are paying us every week, is to provide guidance and support (along with other technical elements) and I wouldn’t be doing my job if I didn’t have the courage to speak up and ask tough questions. Goes back to that challenging post. I know there have been times when people disliked working with me because I do have the courage to speak up and ask “why are we doing this?” or “Why do we want to spend money on XYZ, when another road may give you better results”. It’s tough and disheartening when your advice isn’t taken, especially when you know in your heart of hearts that the path “they” are going down will lead to zero results and zero performance improvement. Next, kudos to you for knowing when it was time to part ways with the organization. It takes real courage to divorce your partner (so to speak), go it alone and start dating again – only this time with a different set of criteria. This is how I ended up in consultant land as well. 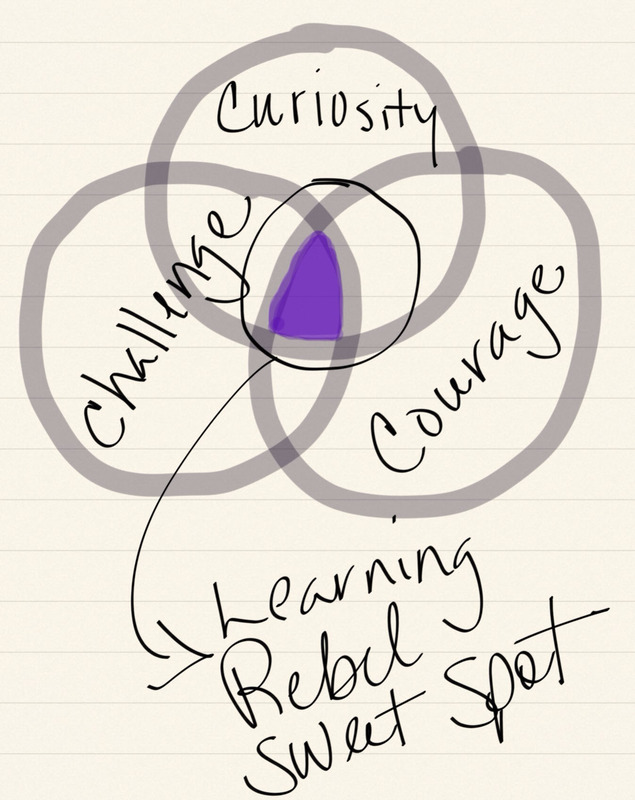 I interviewed with countless companies and finally determined perhaps organizations just weren’t ready for a Learning Rebel who is going to challenge and ask tough questions. So I agree, there are times where you are going to point to the Emperor and shout, “He isn’t wearing any clothes!” and people are going to turn their backs not wanting to acknowledge the naked guy in the room – but then there’s that one person, who will also have the courage of conviction to stand beside you and say “Yeah, what he said!” Those moments are the ones worth working toward.